Ultrasound is a diagnostic imaging modality that makes use of sound waves of extremely high frequency to detect certain disease conditions. The echoes from these sound waves are used to form electronic images of the structures and movements of the internal organs to examine for abnormalities. 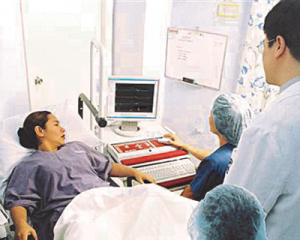 Ultrasound is a radiation–free procedure, thus it is considered safe even for pregnant women.